Ancient Celtic bards were famous for the sheer quantity of information they could memorise. This included thousands of songs, stories, chants and poems that could take hours to recite in full. Today we are pretty spoiled. Practically the whole of human knowledge is conveniently available at our fingertips. Why worry about memorising something when we can simply Google it? The answer seems pretty evident when we go into a panic after losing our smartphones! 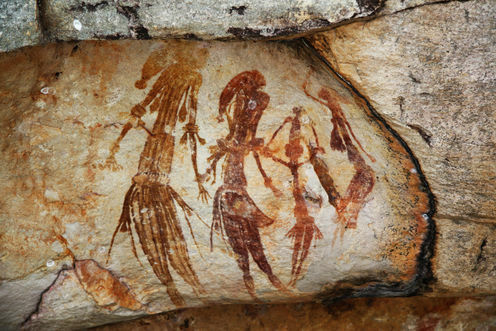 Long before the ancient Celts, Aboriginal Australians were recording vast scores of knowledge to memory and passing it to successive generations. Aboriginal people demonstrate that their oral traditions are not only highly detailed and complex, but they can survive – accurately – for thousands, even tens of thousands, of years. Yet I struggle to remember what I did last Tuesday. So how did they do it? Researcher Lynne Kelly was drawn to this question while investigating Aboriginal knowledge about animals for her PhD. It was evident to Kelly that Aboriginal people catalogued huge scores of information about animals – including species types, physical features, behaviour, links to food and plants – and wondered how they do it. Aboriginal elders explained to her how they encode knowledge in song, dance, story and place. This led to a theory that may revolutionise archaeology. It has long been known that the human brain has evolved to associate memory with place, referred to as the method of loci. This means that we associate memory with a location. How often do memories come flooding back to us when we visit our childhood haunt? Loci (Latin for “place”), can refer to landscape features, ceremonial sites, abstract designs – anything with distinct features where information can be linked to memory. Kelly developed this into a framework that may explain the purpose of famous sites such as Stonehenge, the Nasca lines and the Moai of Easter Island. The meanings of these sites have been a topic of controversy for decades. What Kelly proposes in her new book The Memory Code is that sites such as Stonehenge and the Nasca lines are actually memory spaces. In oral cultures, knowledge is power. It is imperative that the most important knowledge be maintained and preserved by a few select custodians who have proven their worth. In Indigenous cultures, elders who have passed the highest levels of initiation hold the deepest levels of knowledge. This is reflected in ceremonial sites where knowledge is passed down. Aboriginal initiation sites include a secret area where the most sacred knowledge is discussed. We also see this at Stonehenge, where the perimeter of standing stones shields the centre of the ring, where the most important aspects knowledge are passed on through ceremony. These sites include features that are unique in shape and form. 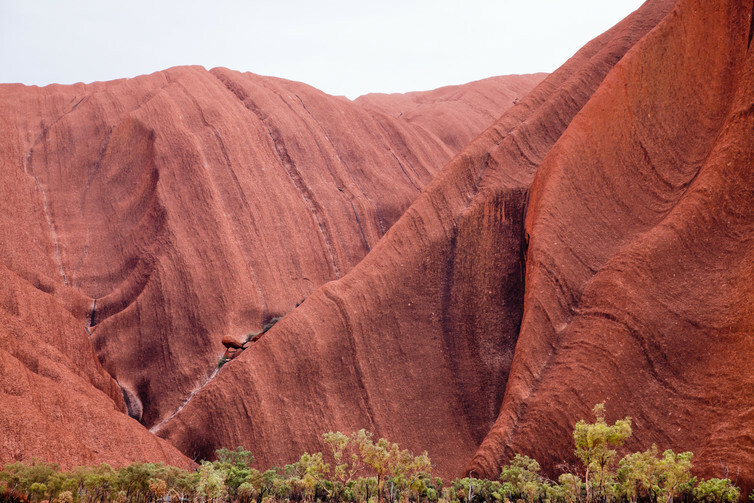 At Uluru, the Anangu elders associate every crevice, bump, and notch around the perimeter of the mountain with knowledge that is stored to memory. Uluru close up reveals a very textured environment. But loci is not only linked to places you can touch or visit. Indigenous people also use the stars as memory spaces. For example, groups of stars can represent features on the landscape. Aboriginal Law Man Ghillar Michael Anderson explains how the Euahlayi people were able to travel long distances for trade and ceremony. The Euahlayi would memorise star maps at night and learn the songs that talk about their relationship to the land. Each star was associated with a landscape feature, such as a waterhole. Later in the year, they would sing the song as they travelled across country by day. These songline routes became the foundation of some of our highway networks that criss-cross the country. Rather than navigating by the stars, the stars themselves serve as a memory space. In The Memory Code, Kelly provides new insights into how oral societies are able to store vast quantities of knowledge to memory without it degrading over time. It may explain how Aboriginal memories of land that existed before it was flooded by rising sea levels during the last Ice Age survived in oral tradition for more than 7,000 years. To test it herself, Kelly used the technique to memorise all of the world’s countries in order of population by linking them with features around her neighbourhood, including buildings and gardens – making up her own stories for each one. And she can now recite them flawlessly. You might be surprised how easy it is to do yourself. Duane W. Hamacher receives funding from the Australian Research Council. He also reviewed and endorsed 'The Memory Code' for Allen & Unwin Press.